The dials of the LPOG 2400 HD: Same as the LPOG 2400 DL. The left dial has 6 positions for the precision frequencies. 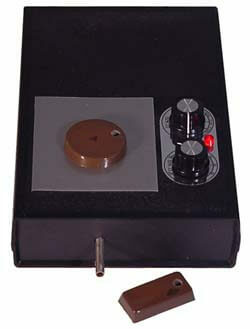 Position 7 switches over to the dial on the right, which allows any setting between 0.5 Hz and 900 Hz. approximately. You can use the stick pad to find the correct pulse frequency. The LPOG 2400 HD with the PBT 2400 Power Booster with Transfer Disk, which effectively doubles the output. The difference to the LPOG 2400 DL is the larger diameter of the output pipe. The LPOG 2400 HD with the EPM 2400 Exterior Precision Module. Note the two jacks in the back: one, labeled “Power” for the power supply (AC-DC adapter) and the other one “Input EPU” for the EPM 2400. It leads to a second built-in Welz-Chi Generator unit. Runnig both generators simultaneously can more than double the output power. 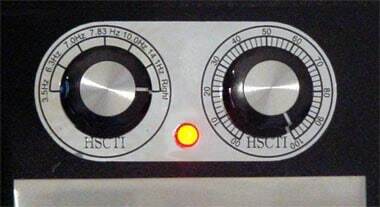 For a precise frequency setting, switch off the generator of the main unit. 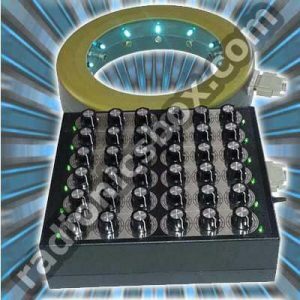 For you to appreciate the special characteristics of the LPOG 2400 HD and the other devices with low frequency options (the LPOG 2400 and JU 99 series, the RAD 2400 and the EPM 2400), it is good to know about low frequency technology. In fact, the most important method of effective self-improvement prior to the invention of the Chi Generator® by Karl Hans Welz resulted from new knowledge of the working of the human brain. It has been well established that every thought, feeling, sensation, and level of awareness has a corresponding brain wave pattern, or frequency. Consequently, you can determine the level of awareness that you want to harness for your success by controlling your brain waves. 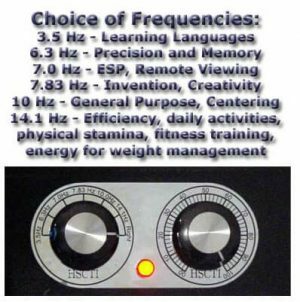 We know of Alpha, Beta, Theta, and Delta brain waves, all in the low frequency range from approximately 1 Hz to 30 Hz (cycles per second). Gamma frequencies are above 30 Hz. Therefore it is obvious that you cannot wear these LS-devices when you really need them. Just imagine appearing on a date, an important business meeting, or a sports event with a LS-contraption on your head! And you cannot do creative writing, or art, either while using a LS-device on your head. You need to wait till you can take it off your head, and then your brain waves will adjust back to their usual state. That’s exactly where an LPOG 2400 HD makes a difference – a big one !!! 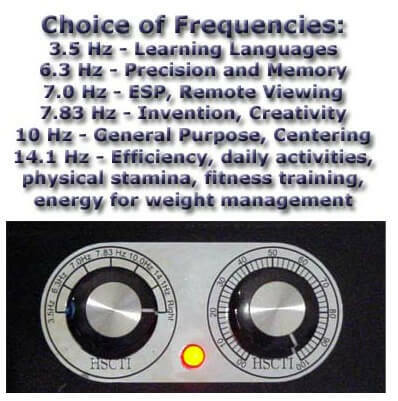 By now it is well-established that the technology of the Chi Generator® is far superior over the conventional type light-sound mind machines. 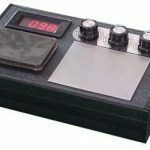 The reasons are obvious: You can set up your Chi Generator® to emit Low Pulse Orgone in the exact frequency of brain waves: Alpha, Beta, Theta, or Delta. When you are in a field of LPO (Low Pulse Orgone, or Chi), your brain can adjust to its frequency almost instantly. This is so, because the detour over sensory perceptions or questionable electric mini-shocks (as in a couple of more recent devices) is no longer necessary. Life force that pulsates in the frequencies of brain waves means a more effective impact and therefore faster results. You achieve the corresponding states of mind almost in an instant !!! 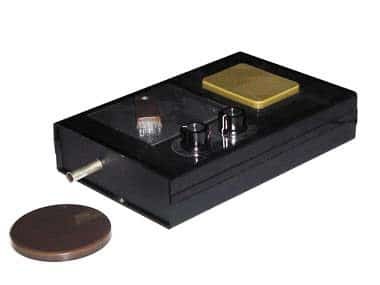 The most striking advantage of our LPO technology over conventional type mind machines is the fact that you can project LPO (Low Pulse Orgone) at any distance. 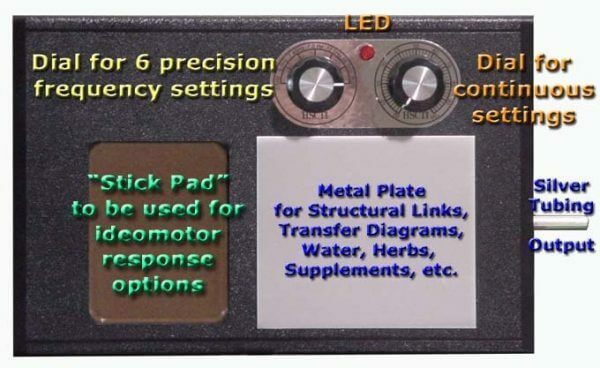 Simply use a of structural link such as the transfer disk of the TC 99 Transfer Couple or of the new PBT 2400 Power Booster, put it into your pocket, set your LPOG 2400 HD at the desired pulse speed, and go to a business meeting, on a date, to the gym, to a sports competition, or anywhere else. Nobody will notice your invisible helper! That’s all! You may relax or go about your usual business at any place. Double its power with the EPM 2400 Exterior Precision Module. 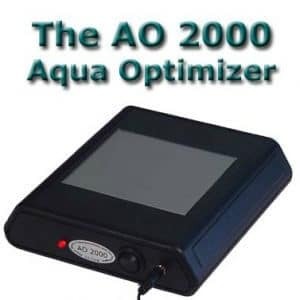 Naturally, a radionics device that you put into the life force field of an LPOG 2400 HD or any other Chi Generator® will be more effective. 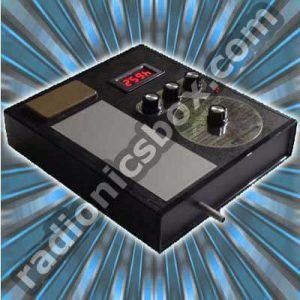 It becomes then a Power Radionics device that is boosted with life force !! !